The Mathews Bridge: historic or an expensive relic? Former Florida Department of Transportation (FDOT) Public Information Officer Mike Goldman exposes the good, bad and ugly reality behind the past, present and future of Jacksonville's Mathews Bridge. 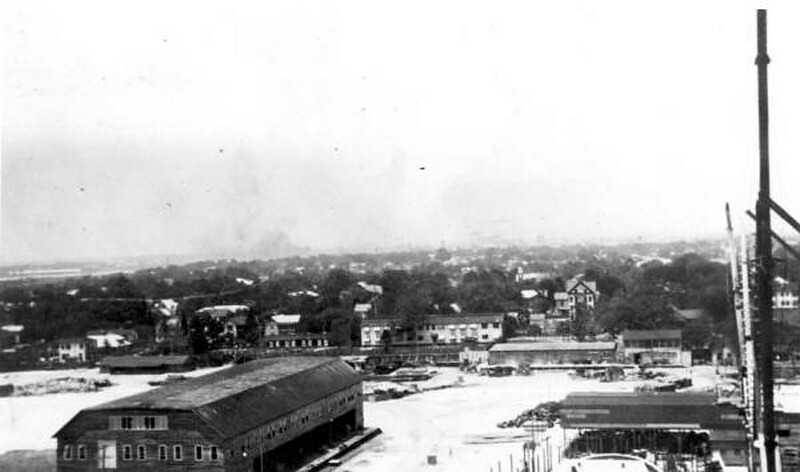 A. Bentley & Sons Shipyard and Fairfield, before the construction of the Ford Motor Company assembly plant and the Mathews Bridge. 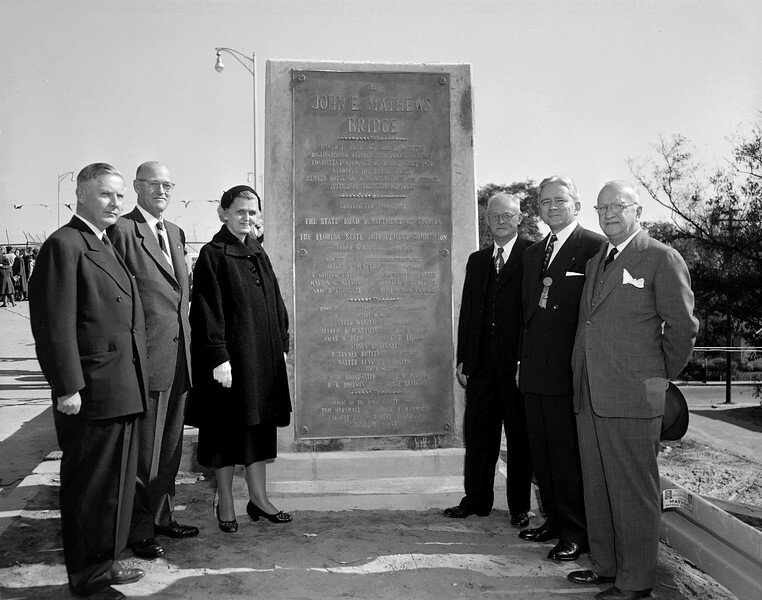 (State Archives of Florida). 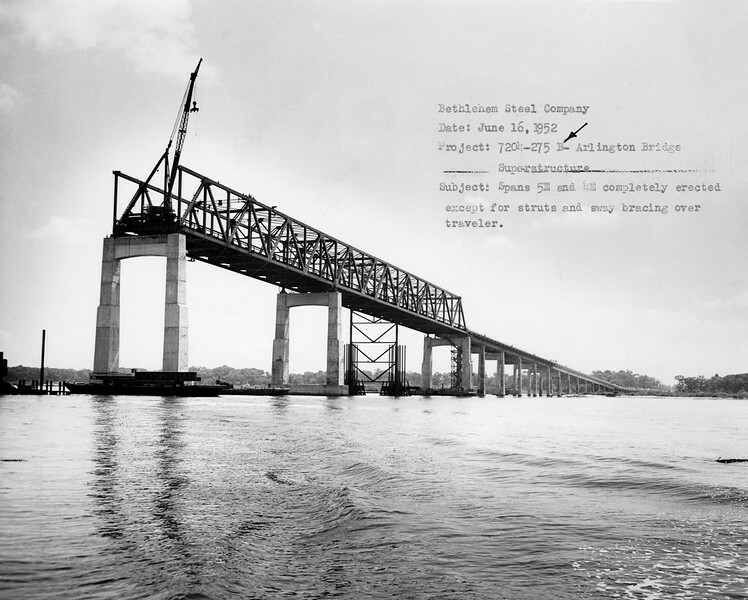 The Mathews Bridge opened as a vision, a novelty and an unintended tourist attraction which changed Arlington, the downtown and the Jacksonville Beaches forever. Downtown merchants hailed the bridge as a potential business bonanza. Ultimately, it would contribute to the decline of downtown Jacksonville. 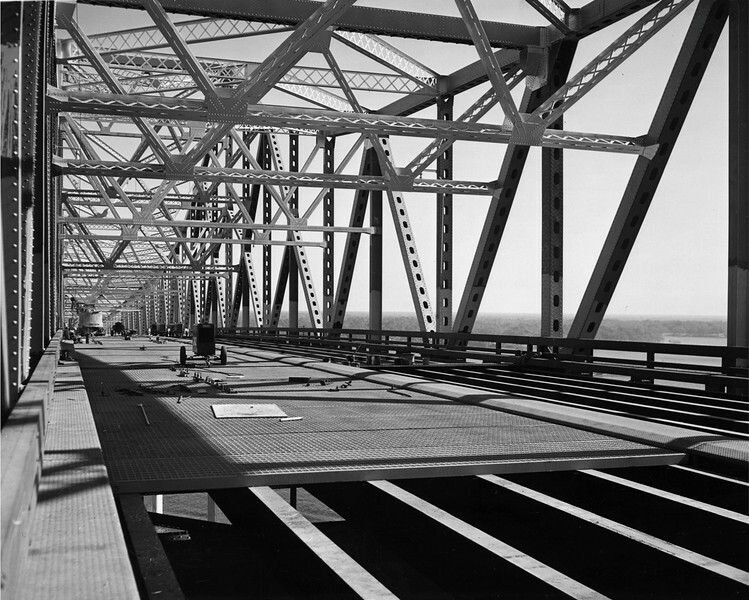 The bridge generated a debate about tolls which continues today, long after its April 15, 1953 opening. Clouds of controversy lingered over the bridge for years and some remain. Safety of the bridge is questioned with automobile and ship accidents contributing to the debate. And the ability of the four-bridge lane bridge to function in the 21st Century is still an unresolved topic with a highly expensive solution. A driving force to construct the bridge and its namesake was John E. Mathews, Sr., a former Duval County attorney and state legislator. He was appointed to the Florida Supreme Court by Gov. Fuller Warren and later was elected Chief Justice by his colleagues on the court. Mathews’ tenacity was legendary. While serving in the Florida House of Representatives in the 1940s the then red-headed Mathews conducted a three-day filibuster. As it dragged on, Mathews asked the Speaker of the House to close the legislative chamber to women and children so he could use a spittoon to relieve himself. Mathews got a brief recess instead so he could conduct his other business of the day. Congestion on the Main Street and Acosta bridges was a primary reason for supporting a bridge to Arlington. Haydon Burns, mayor of Jacksonville at the time the Mathews Bridge opened and an ardent supporter, correctly predicted the impacts of a new river crossing and said it would expedite the growth of Arlington and the Beaches. “Better roads and bridges must be built, and they must be largely financed by tolls,” said Mathews, who died in 1953.